To celebrate the forthcoming release of The Festival on Blu-Ray, DVD and Digital Download on 10th December, we're giving three lucky WhatCulture readers the chance to win a copy of the film on Blu-Ray. The BAFTA Award winning creators of The Inbetweeners invite you to the mother of all music festivals…pack your bags, grab your wellies and don’t forget your tent! When Nick's (Joe Thomas) girlfriend dumps him at graduation, he has a colossal meltdown in front of the entire university. He's convinced his life is over, but his best mate Shane (Hammed Animashaun) has the perfect solution: three days at an epic music festival. With the help of "festival aficionado" and certified oddball Amy (Emmy Award® nominee Claudia O’Doherty), Shane tries to get Nick to embrace the music, the mayhem and the mud. 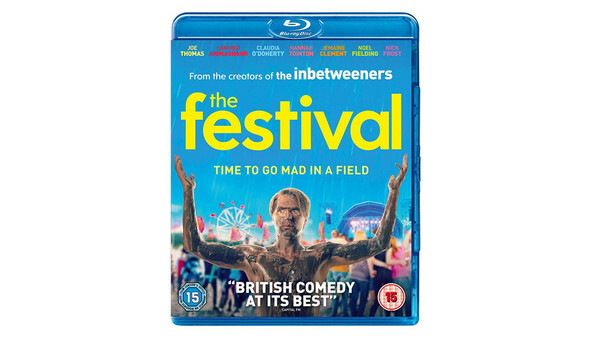 From the creators of The Inbetweeners comes The Festival, a comedy about friendship, growing up, and going mad in a field. To be in with a chance of winning, simply submit your name and address details to contest@whatculture.com, remembering to quote 'The Festival' in the subject line. The Festival is available now on Blu-ray, DVD and Digital Download on 10th December.